59 Commercial Real Estate & Properties in Lawnton are listed in 6 categories. We have 26 Industrial Warehouses Sale & Lease , 16 Retail ShopsSale & Lease , 10 OfficesSale & Lease , 5 Development LandsSale & Lease , 1 Other Commercial PropertiesSale & Lease and 1 ShowroomsSale & Lease . Busy Position - Retail Or Office 86m2 - Available Now! 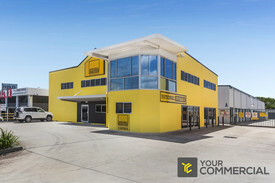 $1,600 PCM plus GST &..
Ray White Commercial Northern Corridor Group is pleased to offer to the market for lease Unit 2 at 6 Ebert Parade, North Lakes. The subject property is currently used as a real estate office and is suitable for both office or retail use. 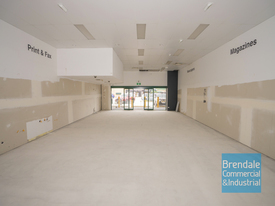 Property features include: 144m2 Retail space available. 25m from Railway station. High volume location Ample Parking For more information or to arrange and inspection, please contact exclusive agents Trevor Jones Nelson Peter Laurent from Ray White Commercial. 80 m2 brick constructed warehouse Roller door access Professional glass frontage Air conditioned office/showroom Toilet amenities Located at front of complex Busy Lawnton Industrial Estate Call The Commercial Guys today to book your inspection or for further information. Unless otherwise stated, the price/property may be subject to GST and/or outgoings. 130 m2 retail/office/medical site Air conditioned Kitchenette toilet amenities Store room Parking directly in front of tenancy Great exposure to 29,000 cars passing daily^ Excellent signage provisions Busy complex Unbeatable price Join such tenants as Chemist Warehouse, Lawnton Country Markets, Spar, Medical Centre, Australia Post more. Don't Miss Out! 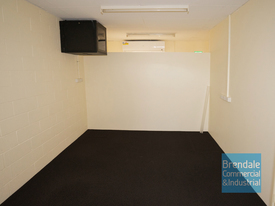 Contact The Commercial Guys for more information or to arrange an inspection. Unless otherwise stated, the price/property may be subject to GST and/or Outgoings. 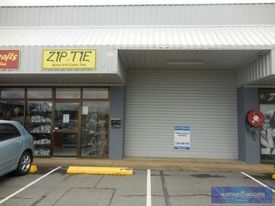 130m2 Retail Shop, Medical Or Office $39,000 PA + Outgoings + ..
350m2 Tilt Panel Unit $36,000 PA + Outgoings + ..
42m2 Office Suite $12,000 PA + Outgoings + ..
Ray White Commercial Northern Corridor Group is pleased to offer 6/690 Gympie Road, Lawnton for Lease. 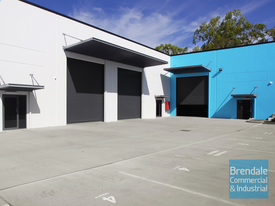 Features include: 326m2 Showroom Rear receiving area Staff room with kitchenette Internal Amenities Excellent exposure to busy Gympie Road On site car parking Exposure to over 30,000 cars per day along Gympie Road Surrounding Retailers include National Storage, Amart, Super Cheap Auto, Super Retail Group, BCF, Pet Barn, Dulux, Repco, Chemist Warehouse Lawnton Country Markets. For further information or to arrange an inspection please contact Chris Massie. 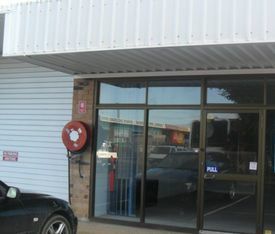 Peter Laurent from Ray White Commercial Michael Daley from Daley Commercial are pleased to offer Shop 3 at the Lawnton Country Markets for lease. One of the busiest convenience retail centres in the region the Lawnton Country Markets are a prime retail destination in the area. 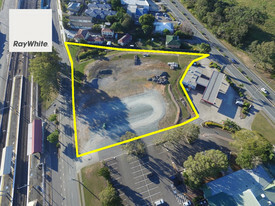 Other tenants in the centre are Chemist Warehouse, Spar, Aust Post, Lawnton Medical Centre, Accountant Lawyer, Lawnton Country Markets (Fruit Shop Massive focal point in the area), Butcher, Baker and the Fish Chip takeaway. The asking rent is only $39,000 +outgoings + GST offering a fantastic opportunity for you to secure this prime retail space at a reasonable rate. The Landlord has instructed us to submit all offers as they want this 130m2 ground floor retail space leased quickly. Features include: bull; Onsite parking bull; Amenities bull; Great signage potential bull; Vibrant and busy retail precinct Contact Peter Laurent from Ray White Commercial or Michael Daley from Daley Commercial for more information or to arrange an inspection. We are pleased to bring to the market a unique development site on 2 lots with a combined land area of 1330m2. This property is located within close proximity to the proposed new University and subject to Council Approval. It would be ideal for multi level Unit development. Adjoining properties includes BFC Lawnton Camping and Boating Outlet and the Mother Duck Child Care Centre. The main North/South Railway Line is close by and the Lawnton Railway Station is within a short walk away. BP Caltex Service Stations are nearby as is a large Amart complex and the popular Lawnton Tavern. Improvements on the site include an older style residence and a two car garage. These may suit an Owner occupier such as an Accountant or Solicitor. We are acting on instructions from the Estate beneficiaries and our instructions are to seek and submit proposals for the purchase of this holding. On site inspections are available on request. Please contact the Exclusive Agent, Brian Kennedy on 0408 881 002 or 07 3889 800. 86m2 Warehouse In The Heart Of Lawnton $1,500 pcm incl. 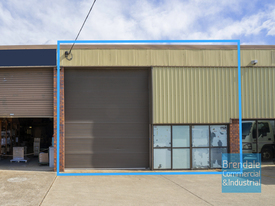 GST &..
500m2 Industrial Unit $45,000 PA + Outgoings + ..
172sqm Office Space Or 400sqm Warehouse/showroom Tenancy Office priced to lease!